Strong Paper Carton . 160 Seats / 20GP , 400 Seats / 40GP , 420 Seats / 40HQ . 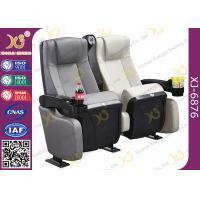 Foshan Xiangju Seat Factory Co . , Ltd . I . Seatback : Fixed . II . Seat Cushion : Tip - Up . III . 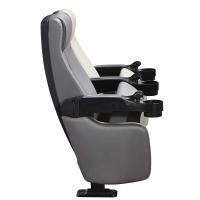 Armrest : Fixed Or Foldable ( Fold Up And Down ) . IV . Fabric And Foam : Fire Retardant . Surface - - Fabric Or Artificial Leather , Anti - Fire . Artificial Price Will Be Higher . Color Can Be Choose . Backrest Board—High Quality Plastic Shell . Back Framework - - Multi - Story Wood Board Through High Strength Press . High Quality New Wood . Foam - - Polyurethane Soak Sponge . High Level Foam , High Quality . Our Foam Is Most Competitive In China . Cushion Framework - - Muti - Story Wood Board Through High Strength Press . High Quality New Wood . Seat Cushion Support Part - - Heavy Iron Part . 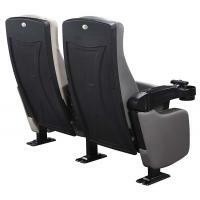 Seat Cushion Backrest Board - - Plastic Shell . Seat Feet Framework - - Stamping And Welding Q235 High - Quality Steel Tubes And Steel Plates . Its Surface Has Undergone Anti - Rust Spray - Molding Treatment . Tube Thickness Is About 2 . 5mm . Side Panel - - Wood Framework With Fabric Surface . Seat Cushion Support - - Cast Steel . 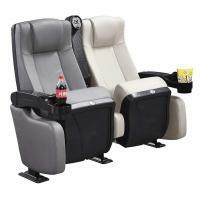 Seat Number - - Yes , At Armrest , Cushion Or Backrest Row Number—Yes , At Side Panel . Deliver Time : The Chairs Will Be Finished In About 15 - 30 Days After We Received The Deposit . Easy To Install , We Will Send You The Install Instruction . We Are One Of The Best Chair Manufactory In China , Who Specialized In Cinema Chair , Theater Chair , Auditorium Chair , Church Chair , And School Chairs . Our Company Established At 2006 . 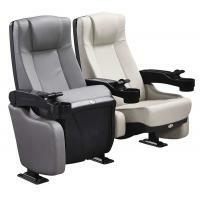 We Have Many Kinds Of Chair Models , Include High Level , Middle Level , Normal Level . Please Tell Us Your Requirement About Chair . We Will Give You The Best Quotation And Solution . 4 . With Over 100 People Employed . 5 . 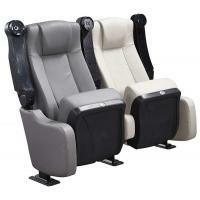 Yearly Production Capacity : 1 , 000 , 000 Seats Ensures Impressive Delivery Time . 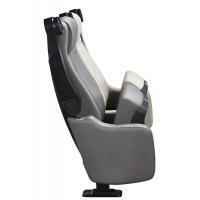 Foshan Xiangju Seat Factory Co . , Ltd . No.9th Huabu Road, Huanxi Industry Zone , Longjiang Town, Shunde District , Foshan City , Guangdong Province , China . 1 . Q : Where Is Your Factory Located ? How Can I Visit There ? A : Our Factory And Office Located In No.9th Huabu Road, Huanxi Industry Zone , Longjiang Town, Shunde District , Foshan City , Guangdong Province , China .. About One Hour To Baiyun Airport . 2 . Q : Are You The OEM Factory ? A : Yes , OEM And ODM Is Accepted For Us . 4 . Q : How Does Your Factory Do Regarding Quality Control ? A : Quality Is Priority . And We Also Obtained The Certification Of GB / T 19001 - 2008 / ISO9001 : 2008 , ISO14001 And SGS . We Always Attach Great Attention To Quality Control From The Every Beginning To The End Of Production . Every Product Will Be Fully Assembled And Carefully Tested Before Packing And Shipping . 5 . Q : How About Your After - Sale Service ? A : After Received The Products , Please Contact Us What If Any Problem In Any Time , And The Suitable Solution Will Be Provide . 6 . Q : How Can I Get Some Free Samples ? A : We Are Honored To Offer You Samples , But The Sample Will Cost You Some Money At First , The Cost Will Return To You In The Next Order . 7 . Q : Can You Arrange The Shipment To Our Country ? A : Yes , Just Kindly Let Us Know Your Destination Port , Then We Can Arrange The Shipment For You .